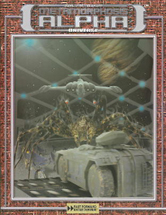 Metamorphosis Alpha was the first science fiction role playing game. Struck by radiation, the passengers of the interstellar colony ship Warden have mutated into unusual and deadly creatures. With little or no knowledge of how to use the technology around them, they must struggle to survive. 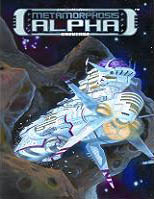 Metamorphosis Alpha spawned the popular Gamma World role playing games. 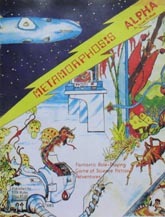 Metamorphosis Alpha - 1st edition (MA1e) designed by James Ward, published by TSR in 1976. 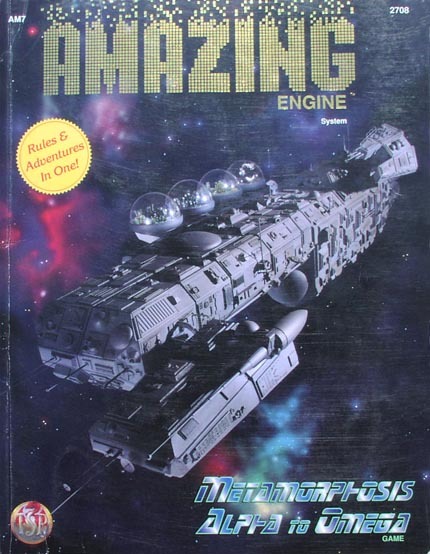 Originally $5.00, this 30 page book often sells for $60 on ebay! .PDF downloads can be purchased from RPG Now and Drive Thru RPG. 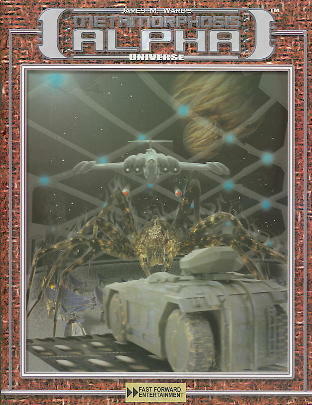 Metamorphosis Alpha to Omega - 2nd edition (MA2e or MAtO) designed by Slade Henson and published in 1994 by TSR as part of the 'Amazing Engine' RPG series. MA2e contains a complete adventure with a poster size map of the Warden's levels and excellent models by Dennis T. Kauth. Metamorphosis Alpha: 25th Anniversary Edition - 3rd edition (MA3e) designed by James Ward and published in 2002 by his company, Fast Forward Entertainment, Inc. 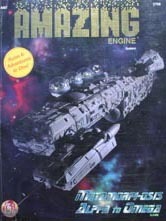 The Warden is a science ship attacked by an alien craft. Their posting site is now an unmoderated spam group! Metamorphosis Alpha: 4th Edition - (MA4e) Designed by James Ward with Craig Brain, illustrated by Jim Holloway (AD&D, Gamma World, Paranoia et al.) and playtested by (among others) Alex and Gary Gygax. Published by Mudpuppy Games. Archive of Gamma World props by Dodger and others for Poser. The Metamorphosis Alpha font is freeware and was written by David Rakowski. Metamorphosis Alpha and its logo are trademarks owned by James M. Ward. All rights reserved by James M. Ward. Contact Paul Madison for questions and comments regarding this site.